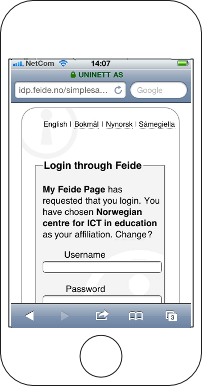 To enable Feide login to a mobile application (app), the app should use a web page to handle the authentication dialogue with Feide login service. 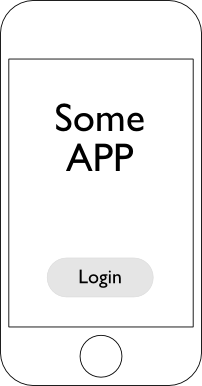 Step 1: The user opens the app, and presses the "Login" button. Step 2: A browser window is opened and the user is immediately redirected to the Feide login page, where the user enters username and password. 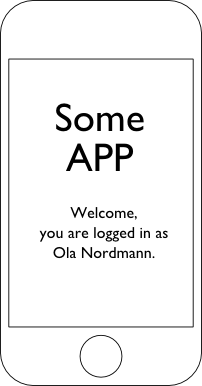 Step 3: After a successful login, the user is sent back to the app, now as an authenticated user. The SP processes the authentication response, and then returns the user to the app. When returning the user to the app, a token identifying the user is incuded.